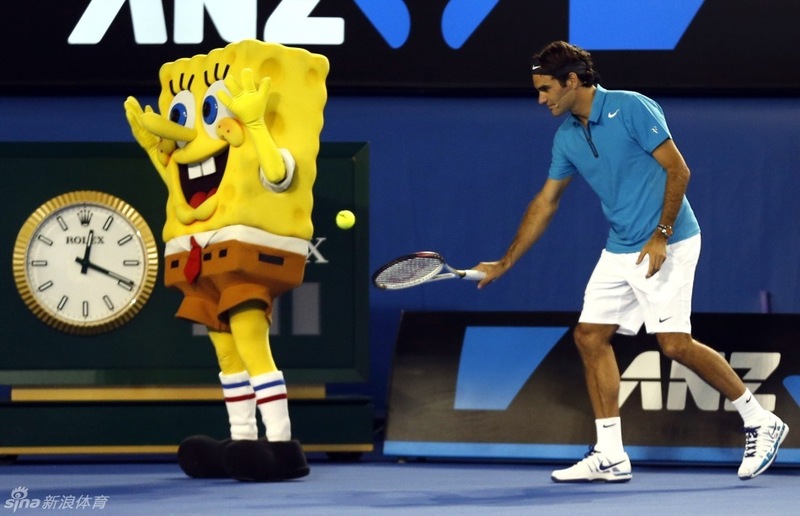 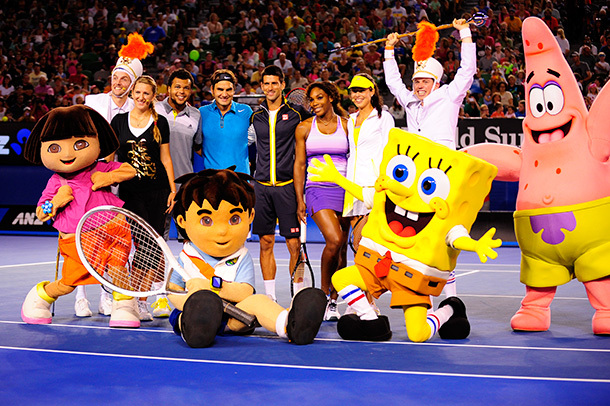 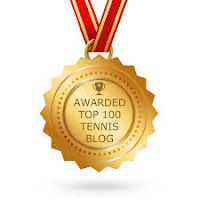 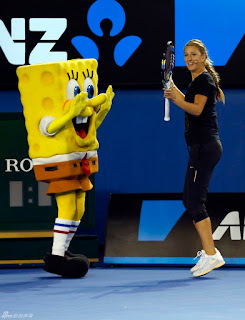 A special show was presented at the Rod Laver Arena in conjunction with Kids Tennis Day today. 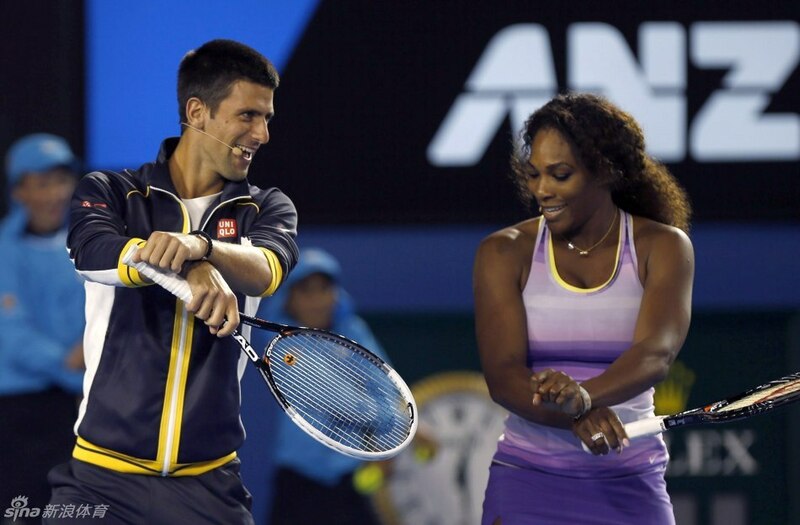 The annual kids event featured Novak Djokovic, Victoria Azarenka, Roger Federer, Serena Williams, Jo-Wilfried Tsonga and Ana Ivanovic. 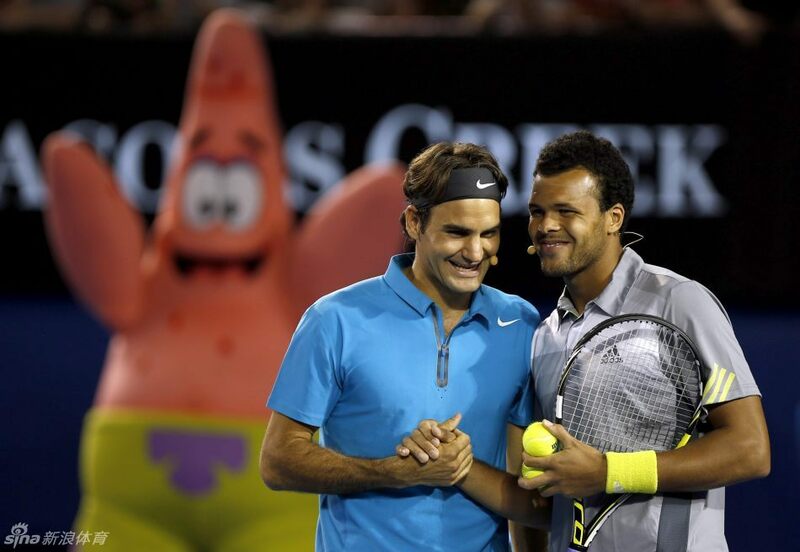 The event also featured singer Guy Sebastian. Nickelodeon stars SpongeBob SquarePants, Patrick Starfish, Dora the Explorer and Diego joined the entertainment line-up as well. 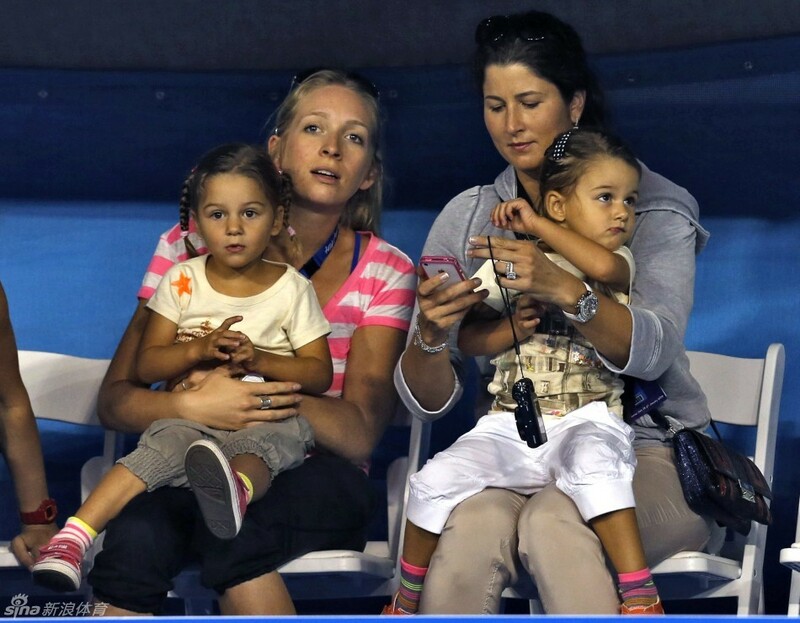 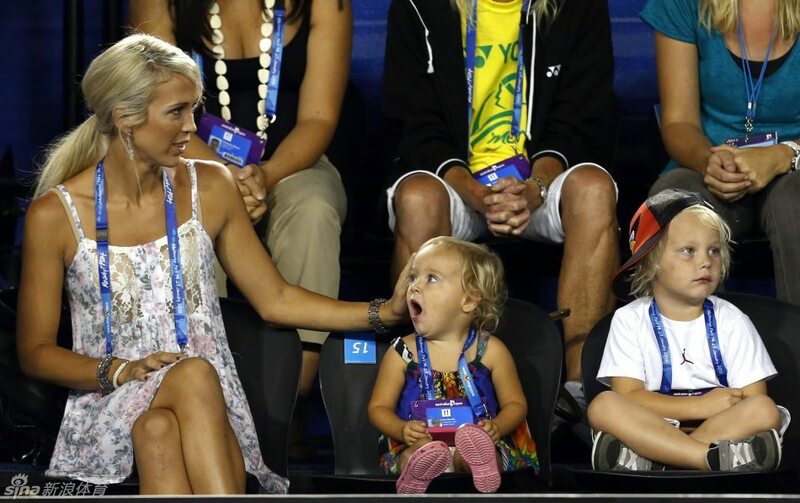 Federer's and Lleyton Hewitt's children were spotted at the event.